Item # 314249 Stash Points: 5,495 (?) This is the number of points you get in The Zumiez Stash for purchasing this item. Stash points are redeemable for exclusive rewards only available to Zumiez Stash members. To redeem your points check out the rewards catalog on thestash.zumiez.com. 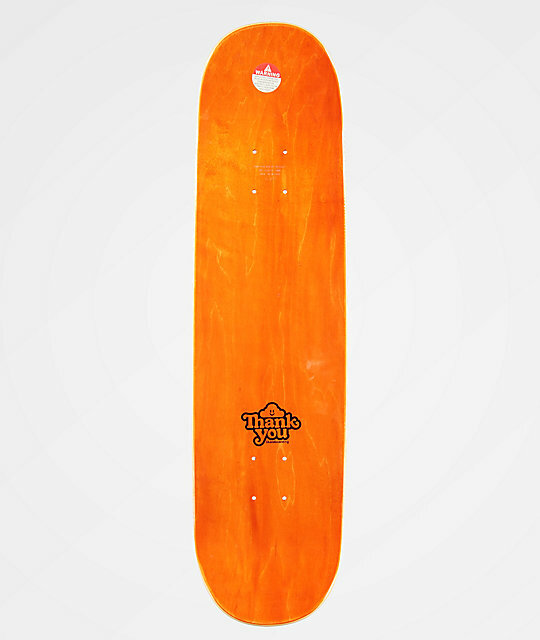 Boost your flip trick game with the Thank You Pudwill Wizard 8.12" Skateboard Deck. Wide, long and slightly pitched kick tails create stable stalls with a locked in feel along with beefy yet responsive pop. A slight taper at each tail helps cut weight and the over all mild concave shape makes for a stable landing surface and predictable feel. 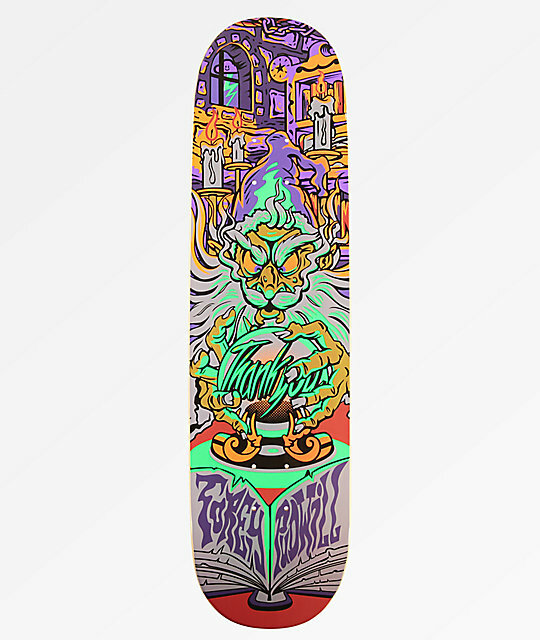 Pudwill Wizard 8.12" Skateboard Deck from Thank You Skateboards. Wide, long and slightly tapered kick tails with moderate pitch.